Tourists keen on sports should take into account Lake Garda is ideal for their vacation plans. 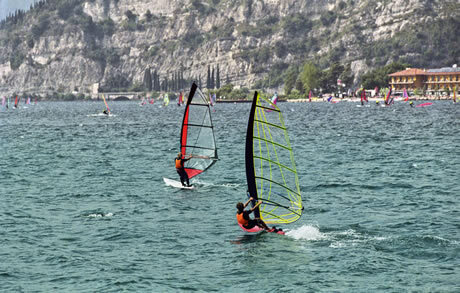 Due to its geographical location, Lake Garda makes available a huge range of sports (water sports included), such as tennis, golf, mountain biking, mountain climbing, windsurfing, kitesurfing, scuba diving, horse riding or fishing. Mount Baldo and the north region of Lake Garda are deemed a paradise for cyclists, given the cycling paths and routes which cross the area, paths designed with different levels of difficulty. Sportcamp Stickl organizes bike trips under the supervision of experienced guides. Season and off-season tours are organized around Lake Garda, and, furthermore, the center also organises special biking camps. Stickl Sporthotel is especially dedicated to the enthusiasts of mountain-bike who come at Lake Garda. The hotel offers accommodation services, but not exclusively, since it also provides bike services and a cleaning center for mountain bikes. Sportcamp Stickl Club usually arranges bus transportation for cyclist traveling from an to Munich, Germany. Tennis Center Prese in Tremosine is a tennis center featuring 9 tennis courts. Tourists can play tennis here, regardless of their experience. They can also hire a tennis coach for personal training sessions. On top of that, Tennis Center Prese makes available a swimming pool, a sauna, a kids' playground and a restaurant. There is a particular category of tourists keen on extreme sports and on adrenaline rushes who, without a doubt, must love the mountains and mountain climbing. These tourists, if heading for Lake Garda, have the opportunity to practice mountain climbing in the mountains around the town of Arco which, for that matter, are worldwide famous for the opportunities they make available. Canyon Adventures helps tourists step into the fascinating world of mountain climbing under the supervision of well trained mountaineering and mountain climbing instructors. The club puts forward sundry programs designed for kids, beginners or advanced mountain climbers, as well as special courses for women. Surf Segnana Club offers services of surfing and windsurfing equipment rental to anyone willing to practice water sports on Lake Garda. The club organizes windsurfing lessons, their teaching system being one of the most advanced and professional in Italy. The club owns a simulator and can also video record surfers' performance. Beginners who have just been introduced in the practice of windsurfing or surfing should take into account Surf Segnana will teach them how to evolve their skills in no time. Surf Segnana has 8 different centers around Lake Garda, and makes available 9 different training programs. Waterproof kite surfing club is a team of professionals and is stands out as only Italian kite surfing club approved by the International Kiteboarding Organization (IKO). The kitesurfing instructors within the club teach and train beginners and advanced kite surfers alike. The club organises kite surfing competitions where all tourists are invited to come and participate. The club also makes available a luxury hotel, a restaurant, a pizzeria, and a coffee bar. Sottoquota Diving Club from Manerba was founded in 1997 and it is located near a very famous scuba diving place at Lake Garda. The club's diving instructors are very well trained and highly qualified. The club owns powerful speedboats and modern diving equipment. If decided to resort to this club, tourists can take scuba diving lessons and start diving from the very first day of training. Those who already have a diving license and a diving insurance can rent equipment and join the immersion sessions organised by the club. Paragliding Club in Malcesine was founded in 1989, when this extreme sport wasn't so popular in Italy and worldwide. However, paragliding became an increasingly popular sport, which is why the club has also grew every year, unveiling the potential of Lake Garda in this respect. 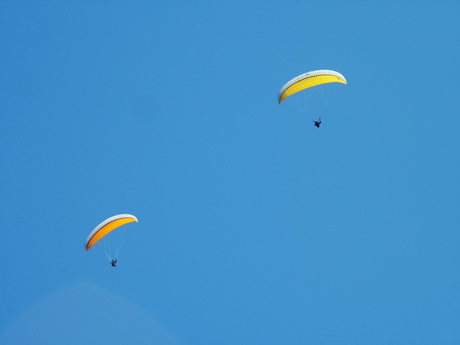 Paragliding sessions takes place on Mount Baldo, from where people jump from 30 meters high steep cliff. A funicular railway takes tourists up on the Baldo Mountain in about 2 minutes. 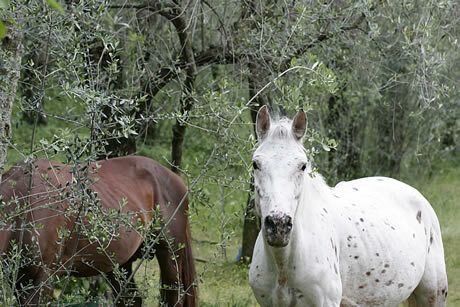 The San Giorgio horse riding club offers tourists the possibility to learn how to ride a horse and to discover one of the oldest sports ever practiced. Nowadays, horse riding is a sport practiced mainly by the elites. However, Club Ippico San Giorgio turns it into an opportunity available to kids, the young and even to the elderly. By resorting to this club, tourists can learn to ride a horse under the guidance of professional trainers. The minimum duration of a full learning cycle is one week. Horse riding lessons are organized all the year round.